Unknown quantity of oil lost. Oil contamination encountered beneath and surrounding the boiler location in the concrete footpath. 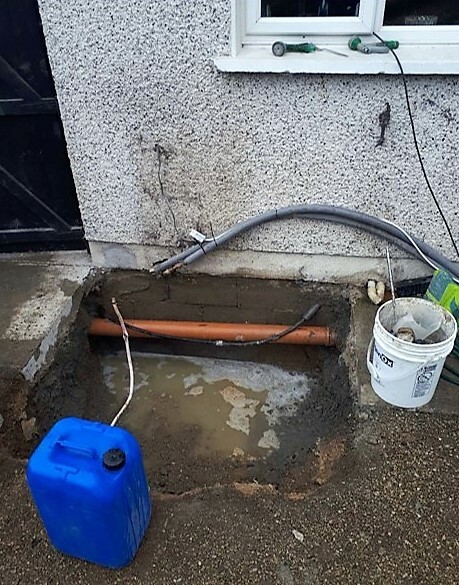 Oil contamination in the rising wall blockwork and within the cavity behind the boiler location in the rear garden. 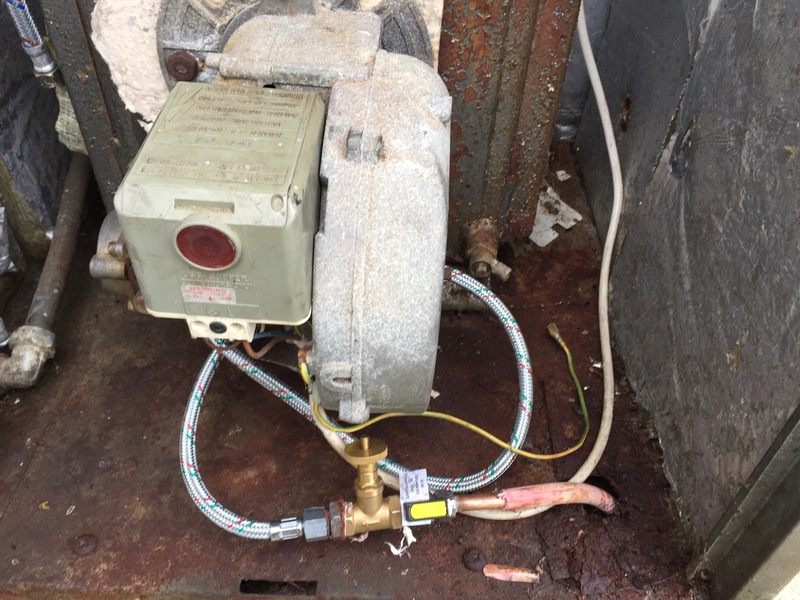 Moderate oil odours and elevated PID readings recorded in concrete and cavity fill material between surface and and concrete beneath and surrounding the boiler. Analytical evidence showed elevated TPH readings within the concrete footpath and rising wall blockwork. 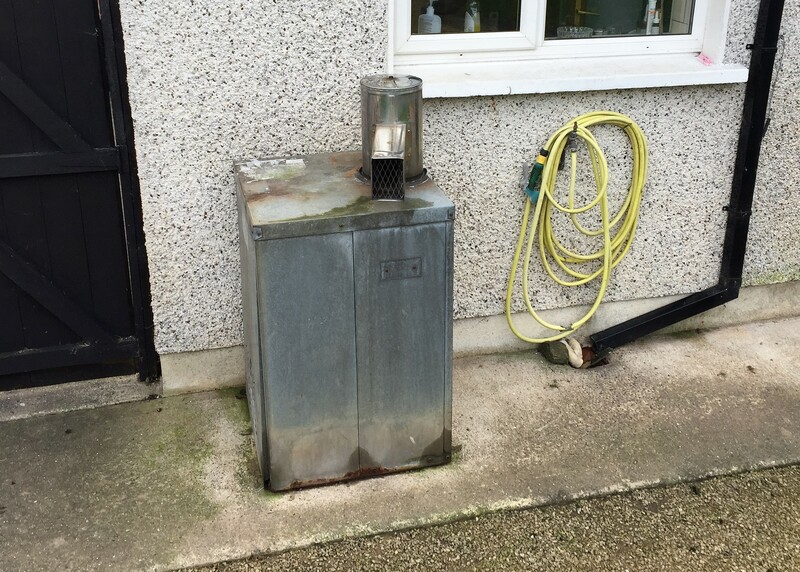 No internal oil odours or elevated PID readings were encountered in the house. Temporary heating supply set up. Section of concrete footpath beneath and surrounding the former location of the boiler unit was broken out and removed. The exposed rising blockwork in the rear wall of the house was further sampled and tested. The identified contaminated blockwork at the base of the excavation was replaced with new blocks. Final sampling undertaken to examine soil and interior air quality at the previously affected areas. The excavation was backfilled with a granular backfill material and compacted at regular intervals. A new section of concrete footpath was poured on top of the compacted backfill material. 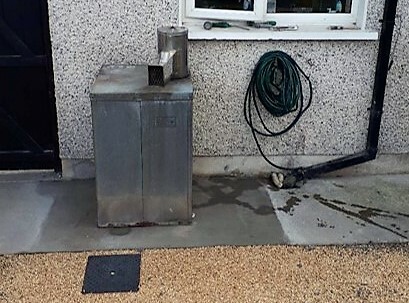 The boiler unit was reinstated on top of the new concrete footpath and the heating system was re-commissioned.